The 64 meter long vessel on Wednesday noon sailed into the fishery port in Murmansk. According to the port administration, the ship has been arrested by the Coast Guard following illegal fishing in the Russian part of the Barents Sea. 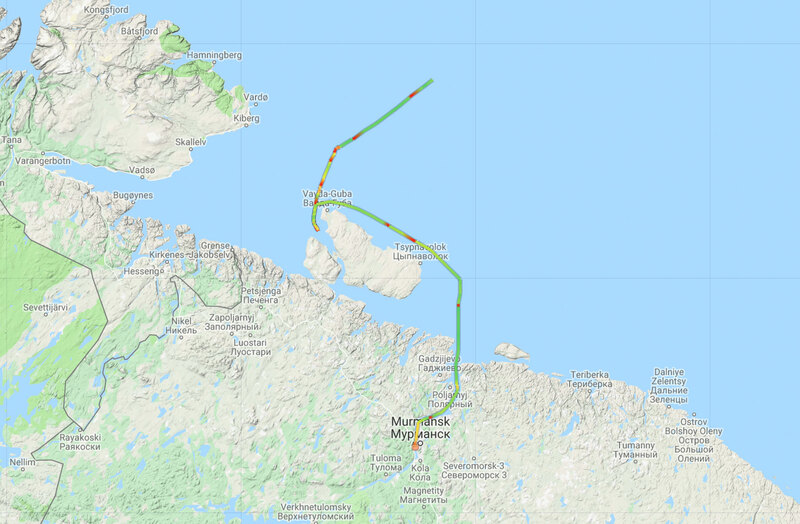 Ship tracking data show that the ship was first taken to the waters west of peninsula Rybachii, just few kilometers from the border to Norway, before it was forced to proceed to Murmansk. The company says to the Barents Observer that it does not yet want to comment on the arrest. In a comment to Fiskebat.no, ship owner reder Einar Jan Remøy says the vessel was ordered to Murmansk for control of the catch. The trawler was also experiencing engine problems, he says. The arrest comes just few days after leaders of Russian and Norwegian fisheries authorities and companies discussed enhanced cooperation during the conference Fisheries in the Arctic, an event that took place in Murmansk. An cooperation agreement was signed between the Norwegian Fishermen’s Association and the Russian Union of Northern Fish Industry and the Association of Murmansk Coastal and Fish Farming Industry, the Norwegian General Consulate in Murmansk informs. Following the arrest of the «Remøy», Norwegian fishing industry representatives said they feared that the case could negatively affect fishery cooperation in the region. «If it becomes Russian policy to catch vessels because of this kind of formality mistakes, then it could have consequences for fishery cooperation in the north», Audun Måråk told newspaper Aftenposten. «Norwegian shipowners will no long dare to fish in Russian waters, and already today the Russians catch ten times more in Norwegian waters, than we do on the Russian side», he added. Fishery cooperation between Norway and Russia is carefully regulated by a joint Fisheries Commission. Since its establishment in 1974, the Commission has dealt with issues such as the stipulation of quotas and minimum sizes for jointly managed live marine resources, regulation of mesh width in nets, use of fish sorting grids in trawlers and the introduction of satellite monitoring of fishing and transport vessels in addition to a number of other issues related to strengthening control of catches of live marine resources, the Commission website informs.